Ágúst Guðmundsson is finding his time at Circolo Scandinavo to his liking. Having been here for about 2 weeks, he has already had some experience of the Italian bureaucracy. Back home in Iceland, Guðmundsson is a keen swimmer and enjoys his daily dip in the local pool. In Rome, however, the task turned out to be fraught with difficulty, when he discovered that he needed a medical examination to be declared fit for swimming. After a couple of phone calls and a visit to the doctor he was finally cleared for the task! 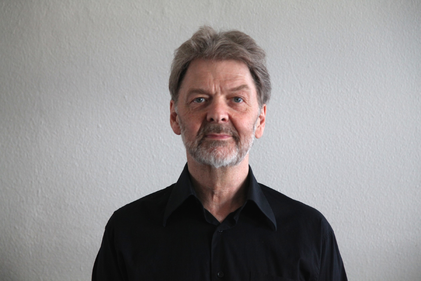 Guðmundsson got familiar with Circolo through his work for the Federation of Icelandic Artists and later for The Nordic Council of Ministers. After settling in, he is enjoying the residency very much. The daily work routine has been established, but so far the sightseeing bit has been postponed. At Circolo he is working on a screenplay which takes place in Luxembourg, a country he hadn’t visited until after he had written the first draft. It is set in the years before the collapse of the Icelandic economy in 2008, when many Icelandic bankers and financiers lived in Luxembourg. Guðmundsson was very impressed by Luxembourg, firstly that half the 590 000 people living there are not born there, and secondly, considering the size of the country, that the funding granted to the film industry there is four times higher than in Iceland! Ágúst will be staying at Circolo in December as well and says he prefers visiting the city off season. Last summer was a particularly dark and rainy one in Iceland, so he likes working up on Circolo's roof terrace, enjoying in the sun at the same time. Having been granted residency for 2 months, he is considering spending Christmas in Rome. Italians don't seem to take Christmas as seriously as the people of the North, which is something Ágúst rather likes.